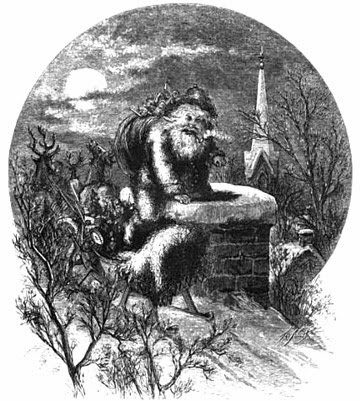 Though he called him St Nicholas, Clement C. Moore's most famous and beloved poem essentially invented the modern Santa Claus in 1823. The legend of a saint became the myth of a "jolly old elf" who drove a sleigh pulled by flying reindeer and could magically pop up and down family chimneys whether they were in a tenement in New York or a little house on the prairie. 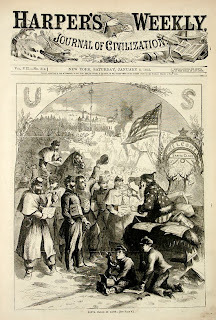 What Moore described in words, illustrator and political cartoonist Thomas Nast manifested in pen and ink for Harper's Weekly in 1863. America was at war. Nast supported the Union. His political cartoons and illustrations reflected his abolitionist beliefs. President Lincoln said of him: "Thomas Nast has been our best recruiting sergeant. His emblematic cartoons have never failed to arouse enthusiasm and patriotism, and have always seemed to come just when these articles were getting scarce." It makes sense that Lincoln would go to Nast for an illustration of Santa Claus visiting the Union soldiers - a clever piece of Yankee propaganda. 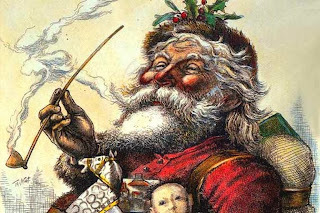 Nast continued to refine his vision of Santa Claus over the years. By 1881, he had image that would be as easily recognized by children today as those who saw his art when it was first published. 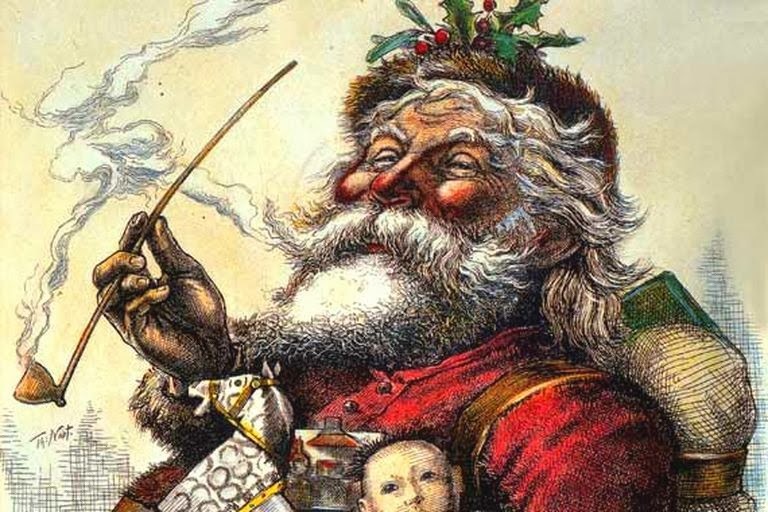 Other artists, particularly Norman Rockwell and Haddon Sundblom, would refine Santa's image, but Clement C. Moore and Thomas Nast defined it. I'd like to thank Linda Carroll-Bradd for filling in for me today. I hope you enjoy her very thoughtful post about stage travel. I know I did. In the mid-1800s, people needed determination and patience to travel from one side of Texas to the other. Early in the Civil War, the government banished the Butterfield Overland route that had been an established route from St. Louis, Missouri to San Francisco through the southern states. Subsequent to the war, shorter routes were established between population centers. Stagecoaches ran on a weekly or bi-weekly schedule. A trip from St Louis to San Francisco involved about 25 days of travel. The coaches were drawn by six horses and stops were made every 12 miles for fresh teams. Depending on the terrain, coaches covered between 5 and 12 miles per day—running day and night. Passengers were grateful to get hot coffee, biscuits and jerky at these stops; on rare occasions, hot meals were available. The suggested items to travel with would have filled a large satchel or three. In addition to their clothing, passengers were admonished to pack 6 pair of thick socks, woolen underdrawers, blankets—one in summer and two in winter, 3-4 towels, heavy overcoat, light coat, hat and their choice of pistol or knife for personal protection. A lady such as Jessamay Morgan from San Antonio reading that list and traveling in summer would probably not worry about the woolens or blankets. Once Jessamay got inside the stagecoach, she would have had her choice of window or middle position (approximately 15” in width) on either a forward or backward-facing bench seat. She would not have wanted to be the last to board because that would leave her on the middle bench with no backrest. As she set out on her journey, she could read the rules about men forgoing swearing and smoking in a lady’s presence, but tobacco chewing was allowed, as long as the chewer spat downwind. I would hope so. Or if the person (presumed to be a male) couldn’t refrain from drinking alcohol, then he must pass the bottle around. Yum. Snoring loudly or using another passenger’s shoulder as a pillow was frowned upon. 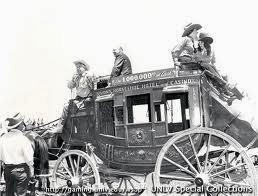 Improper advances toward a woman could get the male kicked off the stagecoach in the middle of nowhere. Forbidden topics of conversation were stagecoach robberies and Indian uprisings. Sounds like a smart rule. Passengers were encouraged not to jump from the stage in case of runaway horses so as not to be left victim to the weather, hostile Indians or hungry coyotes. Ouch. Jessamay had a purpose and she looked at all these strictures as part of her great adventure. She was done with the life at Miss Veronica’s Pleasure Palace and wanted to see mountains—at least until she set her gaze on a handsome stage passenger, Slade Thomas. But nothing every goes as planned. The “excitement” of her first trip is interrupted by a holdup, and she and Slade fight the clock to outwit the bandits. 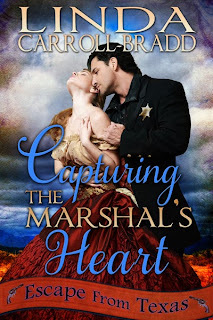 Capturing The Marshal’s heart is available only on Amazon. It’s almost here—the time for Christmas traditions old and new. A few tidbits: Prior to the 1850’s, Christmas trees in homes were rare. It wasn’t until after President Franklin Pierce set up the first Christmas tree in the White House in 1856, that the tradition took off. Forward thinking entrepreneurs had already been working on building the newly acquired American tradition with the first ‘Christmas Tree Lot’ appearing in New York City in 1851, and shortly thereafter companies such as FW Woolworth began selling glass ornaments and patterns for families to sew their own Christmas decorations. America can claim the turkey dinner as its own. Goose, ham, or beef roasts, are/were common other places, but the turkey, native to America, quickly became the most popular dish served. Benjamin Franklin nominated the turkey to be the ‘national bird’ but the bald eagle won that position. Along with the tree and food, the holiday soon became a highly celebrated occasion, including family gatherings and community celebrations. Our family has many traditions, some old and some new. One of my personal favorites is reading Christmas stories. I gather books year round and save them to start reading as soon as Thanksgiving dinner has been served. On that note, I’m excited to have two new Christmas stories released this year. Labels: Christmas Cowboy Kisses, Christmas Tidbits, Christmas with Her Cowboy, Lauri Robinson, Snowbound with the Sheriff. Whenever we are going somewhere my boys always yell shotgun to see who get’s to ride in the front seat. This often results in a race to the passenger side door and on occasion some pushing and shoving, which in turn leads to no one riding shotgun and frowning faces in the backseat. I didn’t know where the term had come from and being a historical writer, I delved into some research and this is what I found. Riding Shotgun comes from the term Shotgun Messenger and was not actually used until 1919 in the movies. However, in the old west the stagecoach was the prime contender and often the only form of transportation for people, cash and gold. 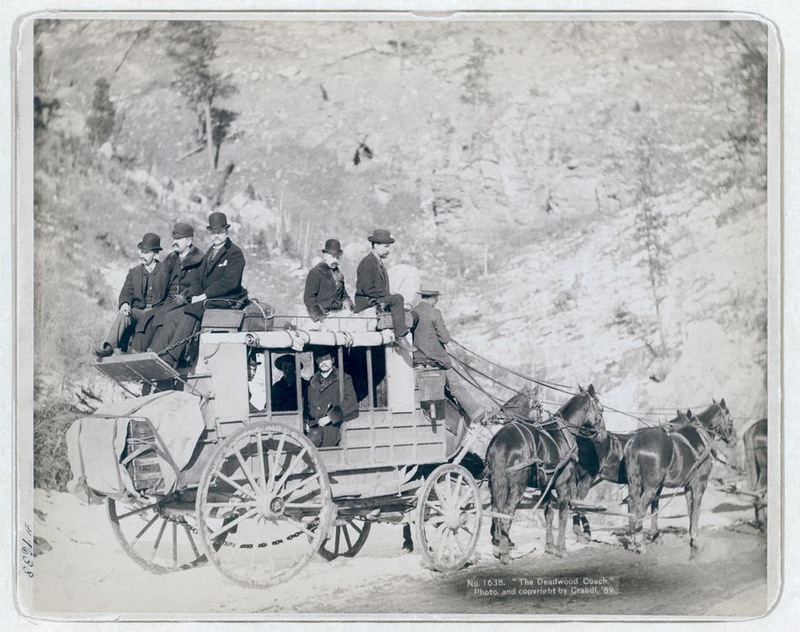 After many robberies, the stagecoach line hired shotgun riders. Their job was to sit beside the driver and protect the strongbox and it’s possessions, firing at anyone who tried to take it or attack them. When I think about this job, I generally assume you’d be a moving target—one easily pegged off by a band of outlaws, but that wasn’t the case. Most attacks were from highwaymen on foot. They’d hide in the bush where the stage had to slow down, usually a corner or steep hill. The highwayman would confront the stagecoach driver and his pal with guns drawn, stealing the loot within a few minutes and then going merrily on his way. There were actually only two known cases in Arizona where the stage was robbed by a group of bandits and a shootout ensued. Most bandits knew what to look for when casing a run. If there was no Shotgun Messenger seated beside the driver, there was likely no strongbox on that stage. 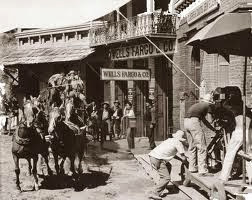 When Wells Fargo started up in 1852 word got around that they were an express, delivering gold, cash and bank drafts. In turn Wells, Fargo had their own agents riding shotgun in the front and back of the stage. The six horse drawn coach with the lettering Wells, Fargo & Co. painted on the side was sure to light up any bandits eyes. However, these Shotgun Messengers were well armed and very dangerous. The Wells, Fargo was the most trusted name in delivery for many years because of this, and in 1866 combined all major western stage lines. Wells, Fargo & Co stagecoaches rolled over 3,000 miles from California to Nebraska and Colorado into the mining regions of Montana and Idaho. You may ask yourself how common stagecoach robberies were back then and through some research I was able to find a few numbers. In Arizona between 1875 and 1903, 130 stagecoach robberies took place. 1876 to 1878, stagecoach robberies on the Cheyenne to Deadwood trail were a steady source of income for Big Nose George and other outlaws. 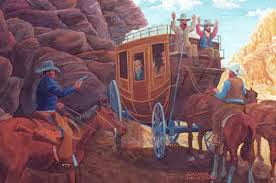 The worst areas for stagecoach robberies were Tombstone and the Black Canyon Stage Line from Phoenix to Prescott. Recently Hubby and I visited friends in Kerrville, in the heart of the famed Texas Hill Country, a twenty-five county area of central and south Texas. This is a land of rugged hills topped by mountain cedar and green valleys (when not in a drought condition.) The Hill Country includes Enchanted Rock, the second largest granite dome in the U.S., and extends into San Antonio’s northern suburbs and the west side of Austin. Kerrville, a city of over 22,000, is named after Major James Kerr, a veteran of the Texas War for Independence from Mexico in 1836. Kerr was a friend of early settler Joshua Brown, who set up a shingle-making camp in the area in the 1850s. Kerr County was formed in 1856. That same year, Brown donated the town site from his extensive acreage along the Guadalupe River, which runs through Kerrville. Kerrville was also the longtime home of cowboy humorist Ace Reid (1925 – 1991), creator of the cartoon Cowpokes which, at one time, ran in over 400 weekly newspapers. He produced many popular cartoon books and calendars during his lifetime. Reid was raised in Electra, Texas, near the state’s northern border, where he lived the life of a cowboy. He served in World War II as a machinist’s mate in the U.S. Navy in the Pacific. During his time at sea, he drew a cartoon called "The Sorry Salt" for his ship's newspaper. After the War, "The Sorry Salt" became "Jake," his main character in Cowpokes. On September 11, 1949, Ace married Madge Parmley, daughter of the doctor in Electra, his home town. The couple moved to Kerrville in 1952. Ace’s first cartoon appeared in West Texas Livestock Weekly that same year. Two years later, their son and only child, Stan, was born. Ace Reid achieved fame with his earthy characters, who spoke the language of farmers and ranchers, chronicling their trials and tribulations with honesty and humor. He died on November 10, 1991. 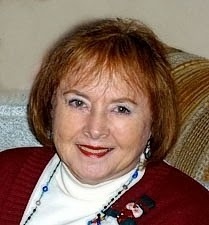 His widow, Madge, still lives in Kerrville and has kept Cowpokes going ever since Ace's death. While in Kerrville, we visited the Museum of Western Art, a beautiful showplace filled with paintings, prints and sculpture produced by western artists. In October, when we were there, the museum featured a large display of Ace Reid’s work. Fantastic! From Cowpokes Home Remedies: WARNING: I DO NOT recommend you try this! 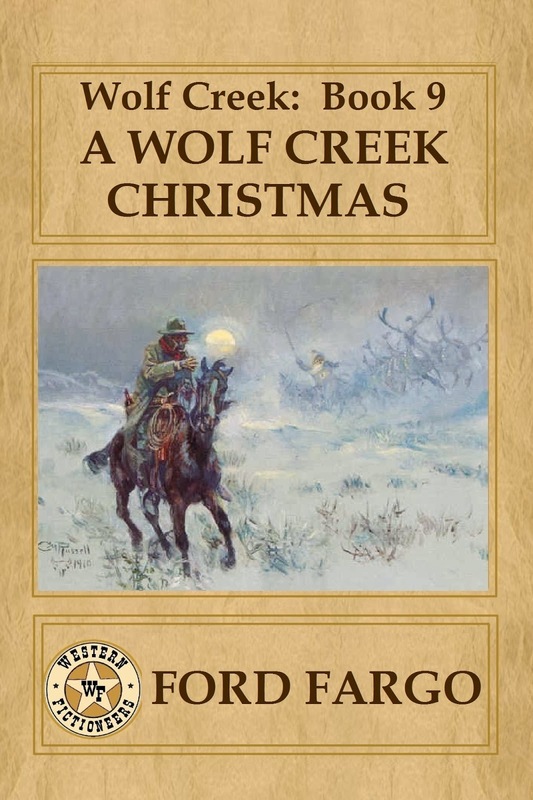 “When me and mama moved from up on the divide to Luckenbach on Grape Creek it seemed as the kids all the time had sore throats, weakly eyes and snotty noses. And they would cry. The local remedy for the sore throat was to collect wild chili-p-teens and grind them plum up fine with powdered prickly ash leaves. We’d stick a straw or turkey quill in that mess and blow it down their sore throats. And they would cry. They wouldn’t have the same kind of sore throat anymore. We only did this to the younguns because the biguns learned to fight us. Happy Turkey Day and Joyous Noel! I’ve always written research articles for Cowboy Kisses, but this time not. Why not? Because I’ve been busy writing stories and books — lots of them. That’s why I now have three new releases in just three weeks. So today, I’ll tell you about them. 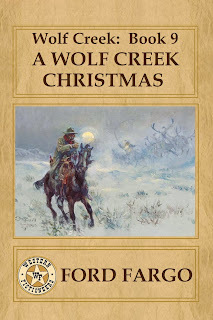 Both Western Fictioneers and Prairie Rose Publications invited me to contribute to their Christmas anthologies. It’s a pleasure and an honor to be included with such terrific writers. This is a traditional western. I mostly write western historical romance and this is only my second trad western story, but have always loved reading westerns so it’s only natural that I’d eventually end up writing them. And of course I love Christmas stories; hence, two of them in one year. Gib Norwood owns a large dairy operation outside town, along with his brothers Peter and Paul (whom his late father conceived with a slave, Glory, who also lives with them.) 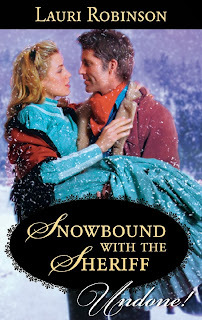 Christmas finds them in a dispute with the troublesome ranch hands of cattle baron Andrew Rogers — a dispute that involves a wagonload of prostitutes from Abby Potter’s School for Wayward Girls, including Miss Abby herself. When I came up with this idea, the notion of a Confederate veteran, a fifth-generation slave owner, whose only remaining family was his half-aunt, a quadroon who was his father’s and his slave, and her twin sons, who are also Gib’s half-brothers. So here we have a man who fought for the South, but now his family are all considered “colored” even though the octoroon twins look Caucasian as long as they keep their hats on. Gib sees the injustice here, and his goal is to create a prosperous living for his family, even though he knows they’ll never be accepted in white society. But money always talks. Abby Potter is the madam and owner of Miss Abby’s Boardinghouse, the high-class brothel in Wolf Creek. She’s short in stature but tall in business acumen. No one puts anything over on Abby. And no one needs a Christmas more than her, either. Amazon and soon at other online stores and in print. The other story is in the Prairie Rose Publications anthology, Wishing For a Cowboy, and these stories are western historical romances—eight of them. The other authors are Phyliss Miranda, Cheryl Pierson, Sarah J. McNeal, Kathleen Rice Adams, Tracy Garrett, Tanya Hanson, and Livia J. Washburn. My first vision of this story was a huge bear of a man, Nate, huddled over from the cold, trudging up a mountain trail leading his tired horse. What I didn’t know was why Nate would endure so much to get wherever he was going — but I knew his personality and how much he hurt inside. I wrote the first scene and before I finished it, I saw Rhoda peeking through the cabin window. She’s of mostly Swedish ancestry, a natural blond, but has had little available to eat so is thinner than she’d normally be. Once I saw her, she jabbered in my ear to convince me she was the right woman for Nate — because I had my doubts. She did sway me to her side, and I think Nate and Rhoda complement each other very well. Bonus! Each story in Wishing for a Cowboy is accompanied by a recipe — yes, eight delicious recipes! Mine is Rhoda’s Wedding Custard. And if you’re gluten-free, try my grain-free crust. Yum. 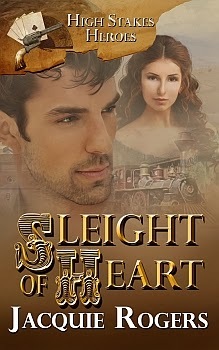 And then, not Christmas related, I have a new western historical novel out, Sleight of Heart. To claim the family fortune, smooth-dealing Burke O’Shaughnessy has to find his brother Patrick, despite being saddled with an angry spinster. But when Lexie shows an astounding talent for counting cards and calculating odds, he figures she might be useful after all. Can he draw the queen of hearts? Recipe for a hero: Take one Maverick, add in a little Remington Steele. Blend. Maybe throw in a little James Bond (shake, don’t stir), and mix in some of my dad’s unique brand of humor. Go off half-baked, and there you have it — Burke O’Shaughnessy, a ramblin' gamblin' man.